It was the evening of Saturday, September 13, 2014, and Sean and I were back in camp after a great eleven-plus-mile hike through the North Unit of Theodore Roosevelt National Park. No rest for the weary, though, while Sean started supper, I began to pack up. We still had one more night in camp, but the more we prepped to convert our packs to checked and carry-on bags, the less we’d have to do in the morning. 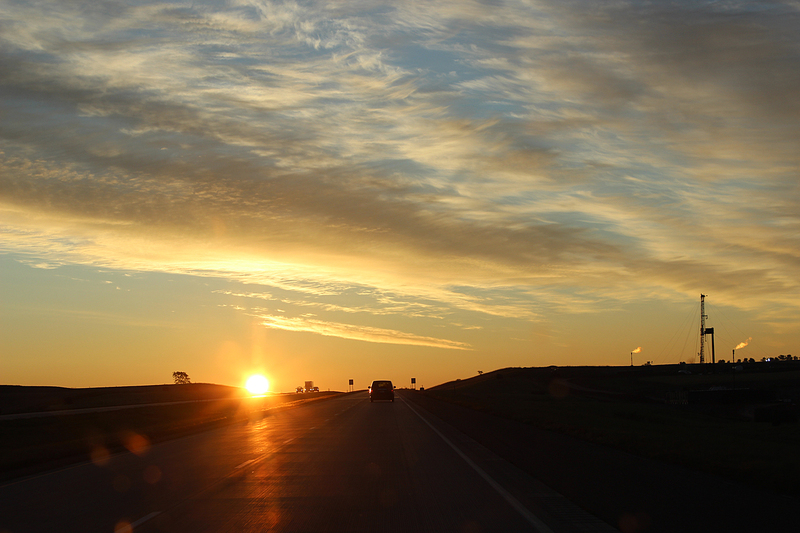 I hoped to hit the road at 6am, so that we’d not be rushed on our nine-hour drive to Sioux Falls for our 6:05pm flight. Neither of us wanted a repeat of the sprint to the airport we’d experienced leaving Big Bend. We still had a touch of wiper fluid left in the bottle we’d purchased back in South Dakota when it had been so snowy. I figured we’d used enough that I could top off the chamber. I walked around to the front of the Jeep and opened the hood. I was greeted by a small face as surprised as I was. It twitched its whiskers excitedly and then slipped behind the engine. The tiny face worked its whiskers and nose and then dove deeper behind the engine into the bowels of the Jeep. By the time Sean got there, seconds later, it was nowhere to be seen. Neither of us had seen it scamper from the Jeep, but we hoped that it would be gone by the morning. This entry was posted in Journey and tagged Camping, Dakotas, North Dakota, South Dakota, Theodore Roosevelt on March 22, 2015 by Brandon Hayes. It had been another freezing night, but the sun was already warming us from the outside while strong percolator coffee warmed us from within. The camper nearest us, a fellow camping alone in a huge tent a few sites away, had already packed up and moved on, so we had the northern end of the campground to ourselves. This entry was posted in Journey and tagged Camping, Dakotas, Day Hike, North Dakota, Theodore Roosevelt on March 22, 2015 by Brandon Hayes. Friday, September 12 had been an immense day, from waking up to hoarfrost and a moving conversation to lunching at the “cradle of conservation” to plunging into the awful heart of a latter-day gold rush. 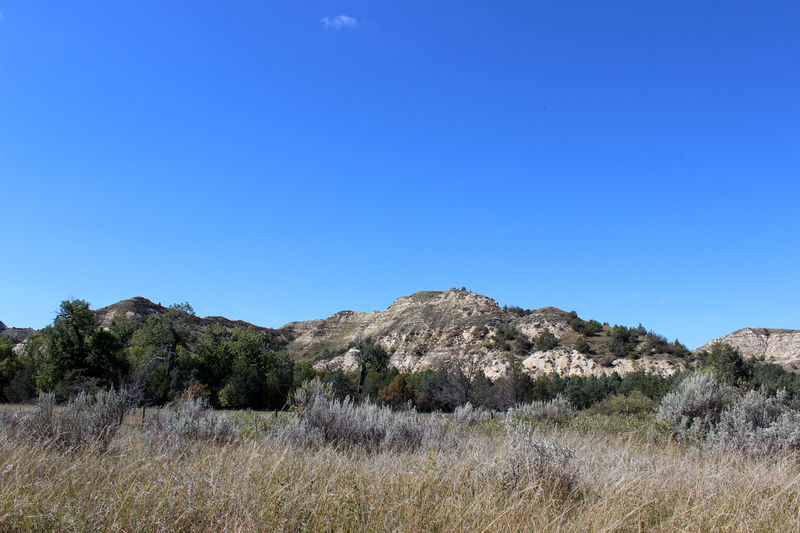 But now we had reached the North Unit of Theodore Roosevelt National Park, where our journey through the Dakotas would conclude. Immediately, the North Unit felt different from the South Unit, although we were still in the Badlands of the Little Missouri River. Half of this unit is federally designated wilderness. Through most of its course, the Little Missouri flows north. But here in this smaller unit (slightly more than half the size of the South Unit), the landscape is oriented around a great turn in the river as it meanders east. In the South Unit, the river is incidental, flowing through the western section of the Badlands. 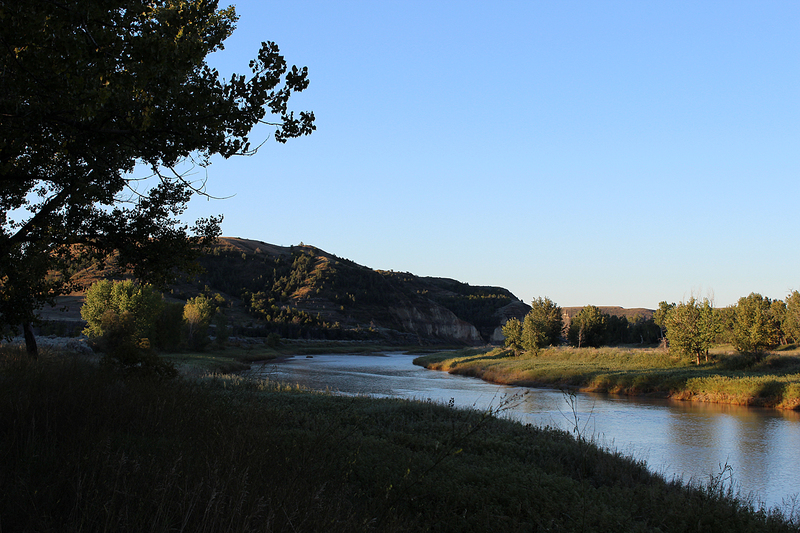 In the North Unit, the river is the centerpiece, carving a great, tantalizing valley out of bluffs and prairie. At the Little Missouri in the North Unit, in one very particular way, the continent cleaves itself in half. Here the north bank of the river marks the Central Time Zone, while the south bank marks Mountain Time. This entry was posted in Journey and tagged Camping, Dakotas, North Dakota, Theodore Roosevelt on March 12, 2015 by Brandon Hayes. Where conflicting interests must be reconciled, the question shall always be answered from the standpoint of the greatest good of the greatest number in the long run. It was the afternoon of Friday, September 12. After our picnic at the site of Theodore Roosevelt’s Elkhorn Ranch, the “Walden Pond of the West,” as it has been called, Sean and I were keen to continue on to the final destination of our journey through the Dakotas, the North Unit of Theodore Roosevelt National Park. From the Elkhorn, we drove west up the bluffs and back into the the Little Missouri National Grassland, administered by the Forest Service under the “multiple use doctrine” advanced by Gifford Pinchot, its first chief. Pinchot also successfully advocated moving the National Forests from the Department of the Interior to the Department of Agriculture so that they could be managed as a commodity. While commercial drilling for shale oil is prohibited in National Parks, National Forests, including the Little Missouri National Grassland, are exempted from such prohibitions. 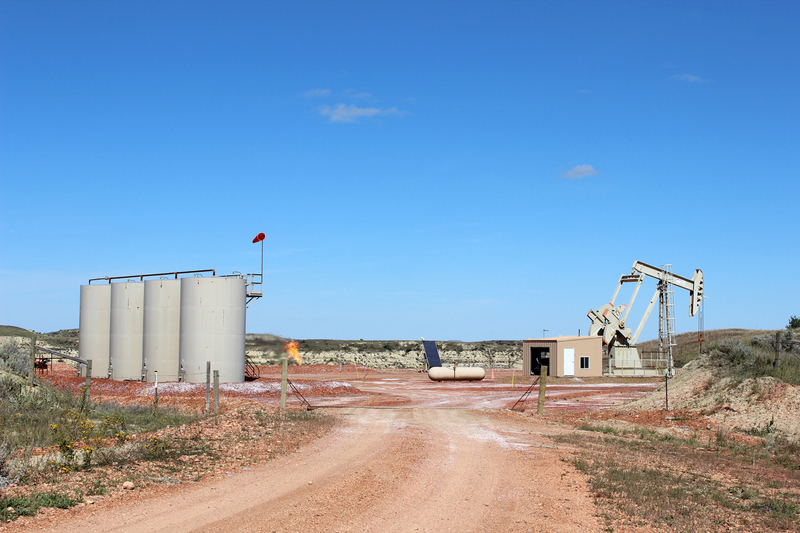 Many of the oil wells encroaching on Theodore Roosevelt National Park are on land administered by the Forest Service. The image above is both particular in that it is literally on the doorstep of Elkhorn Ranch and also generally representative of the wearily monotonous pump jacks and burn-off plumes found throughout the oil patch of the Bakken. 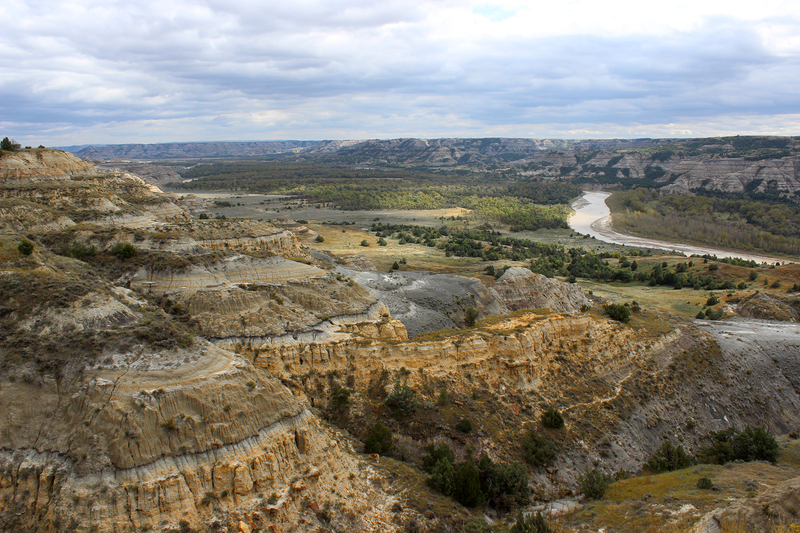 Theodore Roosevelt National Park and the Little Missouri National Grassland that surround it sit atop a vast oil reserve known as the Bakken shale deposit for the farmer on whose land oil was first discovered in the 1950s. This entry was posted in Essay, Journey and tagged Dakotas, National Park Service, North Dakota, Theodore Roosevelt on March 11, 2015 by Brandon Hayes. Since Roosevelt’s first arrival in Dakota Territory and enthusiastic purchase of the Maltese Cross Ranch south of Medora in September 1883, his world had been shattered. Days after the birth of his baby daughter, both Roosevelt’s beautiful young wife, Alice, and his mother died of unrelated illnesses in the same house on the same night, Valentine’s Day 1884. The young New York State Assemblyman was devastated. “The light has gone out of my life,” he wrote in his journal. He withdrew from the social life of New York City he had enjoyed with Alice and shifted his attentions resolutely toward the Dakotas. This entry was posted in Journey and tagged Dakotas, Day Hike, North Dakota, Theodore Roosevelt on March 2, 2015 by Brandon Hayes. Refreshed by our lunch, we discussed what to do next. It was Thursday, September 11. We had an afternoon and a morning left in the South Unit before heading to the North Unit the following afternoon. 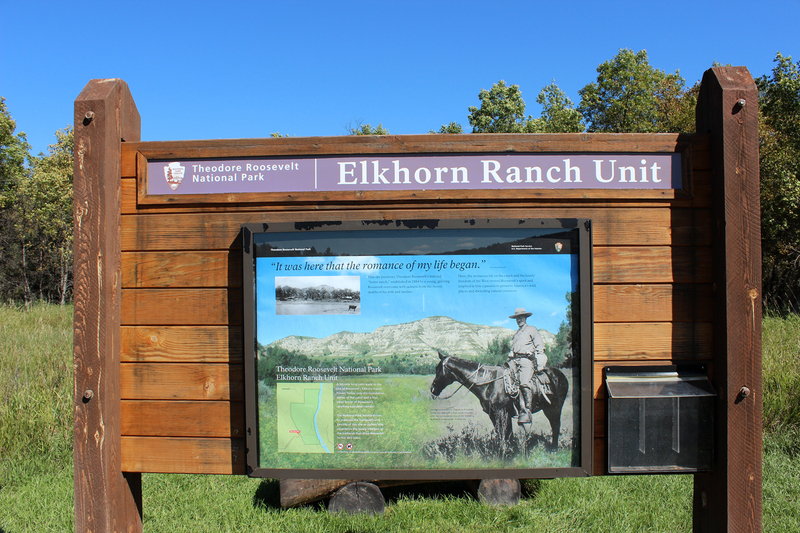 We also wanted to see Elkhorn Ranch. We decided to save the ranch for the next day, planning to visit it on the way to the North Unit. 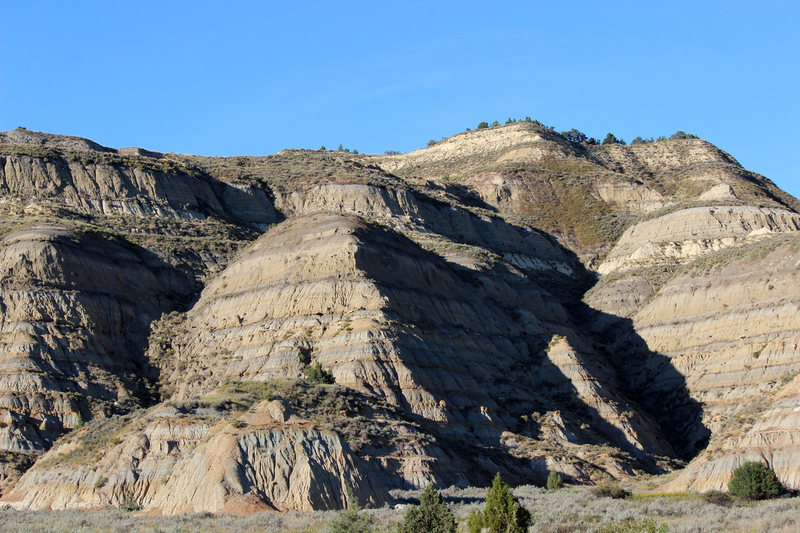 For the afternoon, we’d hike to the park’s petrified forest out in the western portion of the South Unit. We stopped at the C-Store. Virtually every time we were in Medora we stopped at the C-Store. I believe that this was the time we discovered Dot’s Pretzels, locally made seasoned pretzel rods. The fellow who works at the C-Store who is originally from Eugene, Oregon, recommended them to us. To get to the petrified forest, we would have to hike through the South Unit’s designated wilderness. 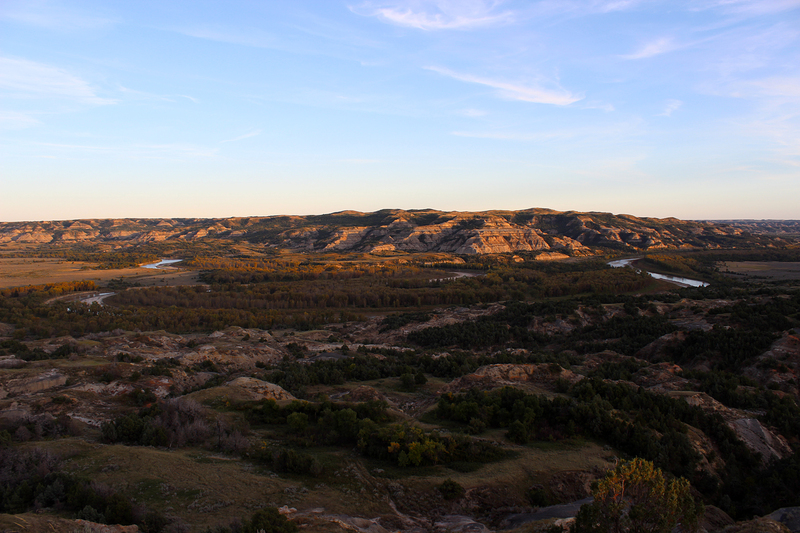 We had two options: ford the Little Missouri River at the campground and climb the bluffs or drive out of the park and into the Little Missouri National Grassland, starting the hike at the park’s western boundary. Since the Little Missouri was obviously high, there was really no choice. 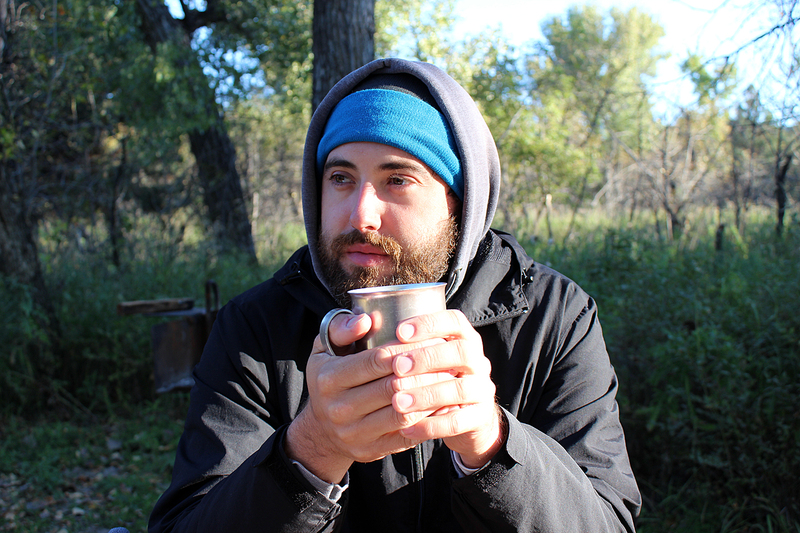 This entry was posted in Journey and tagged Camping, Dakotas, Day Hike, Montana, North Dakota, Theodore Roosevelt on March 1, 2015 by Brandon Hayes. After spending the morning of Thursday, September 11 driving and hiking around the South Unit, Sean and I drove into Medora for lunch. On our way out of the park, we stopped at the Visitor Center, mostly to use the restroom, but also to have a look around. 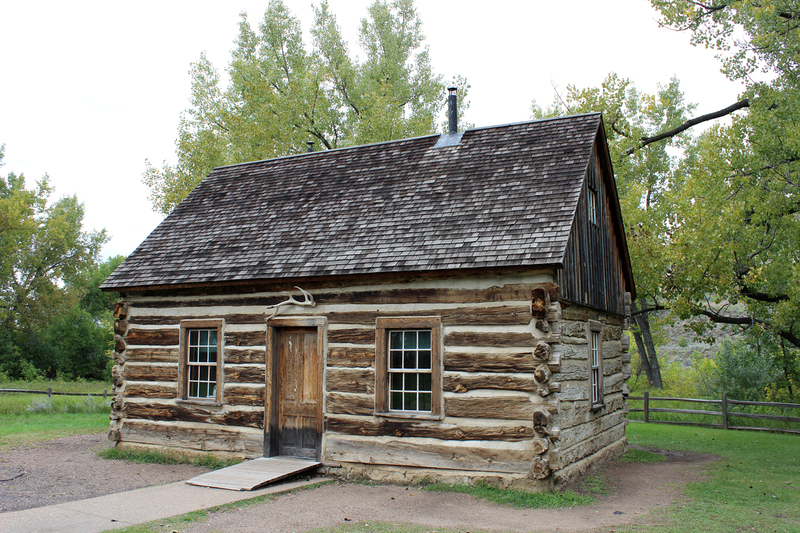 While we were browsing in the bookstore, a ranger called that a tour was about to begin of the Maltese Cross Cabin. At first we ignored the call as a group of about a dozen visitors gathered around the ranger. We figured that we’d check out the cabin later after lunch. The ranger began to give his talk there in the center, and we listened in as we continued to look at patches and pins and postcards. He briefly covered Theodore Roosevelt’s early life in New York and at Harvard before diving into the young man’s experiences in the Badlands, the incredulous reaction the locals had of him as a “New York dude,” and his motivations for heading west. When Roosevelt first arrived in the Badlands in September 1883, his goal was little more than to hunt bison before they were extinct. But this was far from Roosevelt’s first foray into the wilderness. He’d been hunting in Minnesota and the far eastern edge of Dakota Territory a couple years earlier with his brother. More substantially, he’d spent a series of trips in the backwoods of Maine, developing an abiding love of the outdoors. The ranger, whose name was Michael, asked his audience about their motivations in coming to Theodore Roosevelt National Park that afternoon. Sean and I were the only ones who, although not part of the audience proper, raised their hands when Ranger Michael broached the restorative power of nature. He encouraged us to join the tour, which we did. This entry was posted in Journey and tagged Dakotas, North Dakota on February 4, 2015 by Brandon Hayes.